Lufthansa has revealed that its first ten new Airbus A350-900s, arriving from January 2017, will be based in Munich rather than its larger Frankfurt hub. There are a couple of reasons for this. Firstly, the A350 is due to replace the carrier’s ageing A340-600 fleet. With the bulk of these (19 out of 24) being based in Munich, it makes sense to direct the new delivery there. Secondly, the development of the new terminal at Munich Airport will deliver additional handling capacity and boost overall capacity. “[The decision] goes hand in hand with the opening of our terminal extension, the new satellite facility at Munich Airport,” said the airline’s executive board chairman and chief executive Carsten Spohr, to Air Transport World. Around 70 per cent of Lufthansa’s long-haul fleet consists of four-engine aircraft such as the A340, A380 and B747. This places the Star Alliance member at a disadvantage compared to competitors that operate more efficient aircraft such as the A350 and B787 Dreamliner. 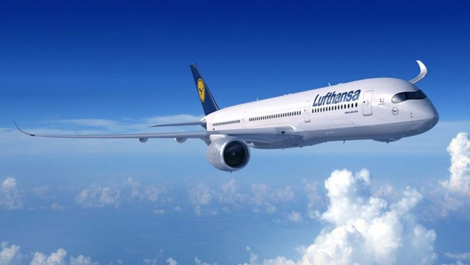 Lufthansa intends to first deploy its A350 to Boston and Delhi. The aircraft will be outfitted with a three-class configuration, with 48 seats in business, 21 in premium economy and 224 in economy.